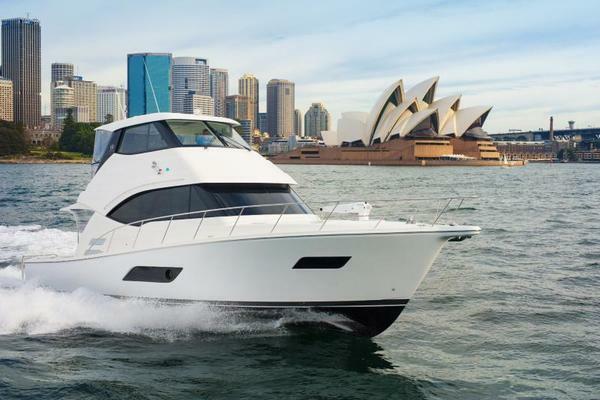 Absolutely stunning example of the 3-cabin Ocean Alexander flybridge sport sedan. Recently Awlgripped from waterline to hardtop. Helm station at flybridge and interior, with additional docking controls in cockpit. Cruises nicely at 18 kts, with a top-end of 23 kts at WOT. Significant and regular upgrades over the last 10 years, including new interior carpets in 2016, new Stidd flybridge seating and enclosure in 2016, new audio visual and more. Fresh bottom paint Oct. 2017. A tremendous value for a truly impressive yacht. United Yacht Sales New Jersey would love to guide you through a personal showing of this 52' Ocean Alexander 52 Fb Sedan 2005. This yacht for sale is located in West Palm Beach, Florida and priced at $442,000. For a showing please contact us by filling out the form on this page and we will get back to you shortly!